Brilliant-chromed steel with shade in gloss white moulded glass. Transparent cable. 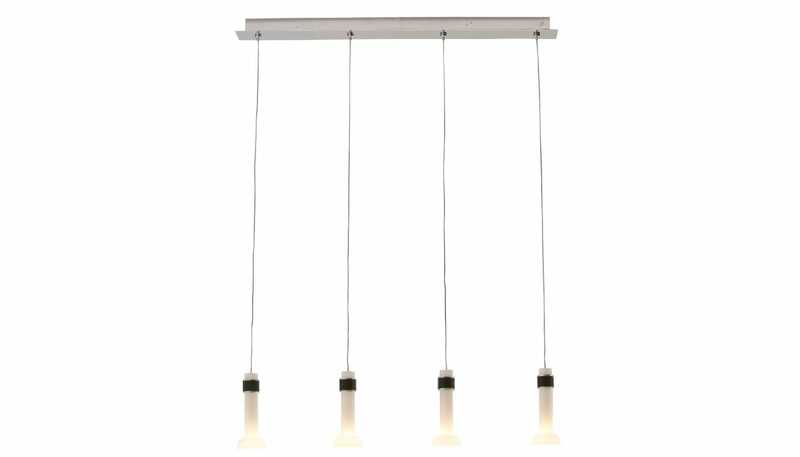 4-cable ceiling light with brilliant-chromed steel fitting and gloss white moulded glass shade.